Our exclusive reports are specially-designed, thorough and accurate. Our exclusive inspection reports feature a custom-designed format that has been developed and field-tested over many years to give you the information you need in a format that is easy-to- read and understand. report is thorough and easy-to-read. This means you and your inspector will review the report right at the inspection, answering your questions so you can feel comfortable with your inspection and your purchase. 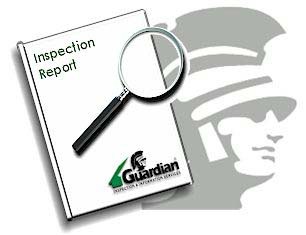 Of course, if you cannot be at your inspection, you will find that your report clearly and concisely records the inspector's findings in everyday language that is helpful and easy to understand. Our popular Standard Homebuyer Inspection offers a multi-part reporting format that divides your inspection into three key elements: a Summary of Defects requiring immediate report; a Full Report over 17 pages long highlighting conditions that may require repair or replacement in the near future; and an Appendix of glossary terms and helpful maintenance information to help you keep your new home in good repair for years to come. 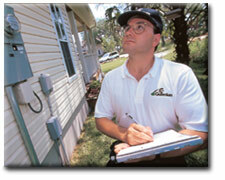 We also offer an Internet Photo Report option allowing you to view and download photos from your inspection. Your report details the important areas of the home, including: roofing, ventilation, attic, fascia/soffits, exterior siding, foundation, site elements, attached garage/ carport, electrical system and components, plumbing system and fixtures, air conditioning and heating systems, bathrooms and fixtures, walls, ceilings, floors, windows, doors, and kitchen and built-in kitchen appliances. You will be greatly impressed.